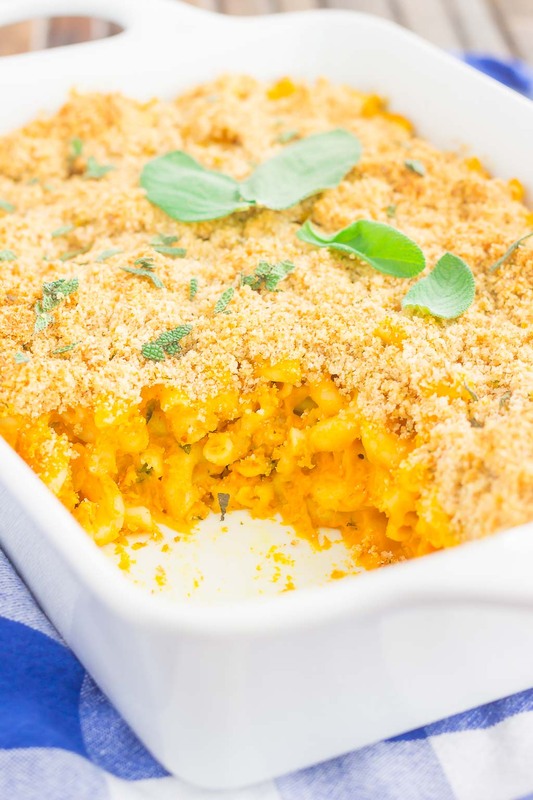 This Pumpkin Macaroni and Cheese is the perfect fall comfort dish to savor the season. Creamy pumpkin, two types of cheese, and a savory topping come together to create the ultimate side dish. 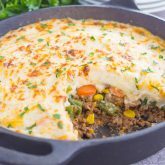 Easy to make and bursting with flavor, you’ll love the unique spin on a classic recipe! The holidays are almost upon us, and soon enough, we’ll be zapped into a winter wonderland full of decorations, presents, Christmas movies, cookies (oh, the cookies! ), desserts, and endless lines at the malls and stores. But for now, we still have pumpkin and the calm before the storm, so to speak. I love the holidays, and Christmas is my absolute favorite, but I’m trying to savor what’s left of fall before Thanksgiving hits, and that brings me to pumpkin. And hearty, warm, and cheesy comfort food. Filled with pumpkin, of course! I’ve always been a fan of macaroni and cheese. I mean, who isn’t, right? It’s warm, creamy, and oh-so cheesy. Just thinking about a big bowl gives me all the feels. And let’s face it, even though I’ve been known to open the boxed kind, homemade always wins the taste test. It’s creamier, cheesier, and all-around better. Especially when it gets baked with a seasoned breadcrumb topping. Mmm mmm good! 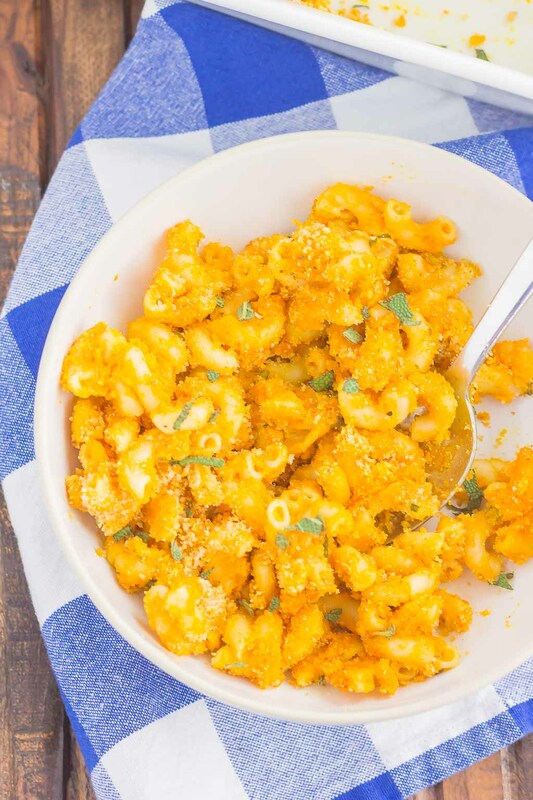 If you like pumpkin and mac ‘n cheese, then you’ll adore this Pumpkin Macaroni and Cheese. The combination may seem strange to some, but to me, it’s a match made in heaven. 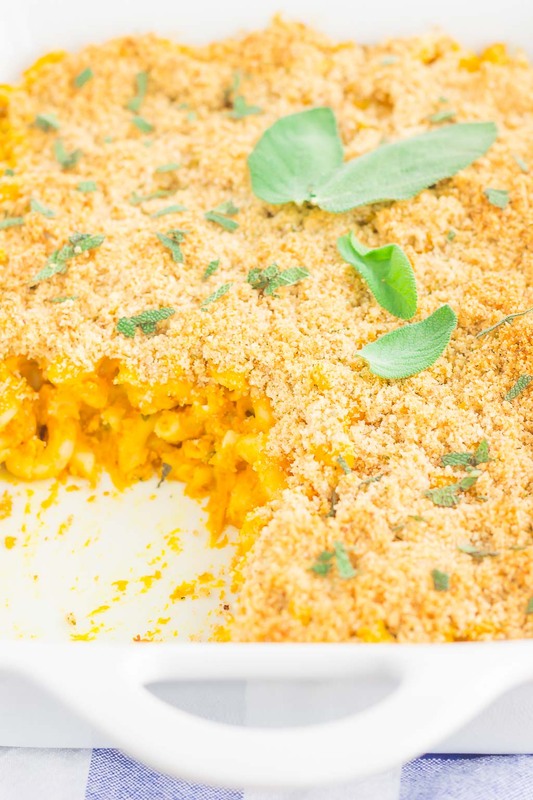 Savory pumpkin, mozzarella and cheddar cheeses, and a parmesan breadcrumb topping makes this dish out-of-this-world delicious. Comfort food at its finest, friends! I’m planning on making this Pumpkin Macaroni and Cheese for the holidays this year, and I guarantee it’s going to be a show stopper! Pumpkin and cheese…can it get any better? 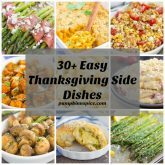 If you’re looking for that last minute side dish for Thanksgiving or any other holiday, I guarantee this is sure to impress even the pickiest of eaters! 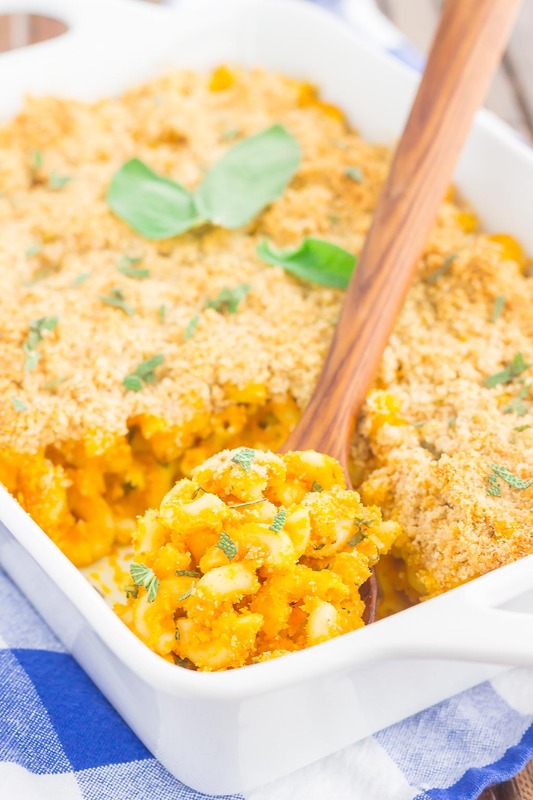 This Pumpkin Macaroni and Cheese is the perfect fall comfort dish to savor the season. Creamy pumpkin, two types of cheese, and a savory topping come together to create the ultimate side dish. 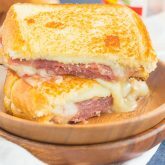 Easy to make and bursting with flavor, you'll love the unique spin on a classic recipe! Preheat oven to 350F. Lightly grease a 2-quart baking dish with non-stick cooking spray. Set aside. In a medium pot, cook pasta according to pacakge directions. Drain and return to pot. Set aside. In another medium pot, melt butter over medium heat. Stir in flour, salt and pepper. Gradually stir in cream and milk. Cook and stir until slightly thickened and bubbly. Remove from heat and stir in pumpkin, mozzarella, cheddar cheese and sage. Pour mixture over cooked macaroni and toss to coat. Spread macaroni evenly into prepared baking dish. Set aside. To make the topping, in a small bowl, combine the breadcrumbs and Parmesan cheese. Sprinkle evenly over macaroni. Bake for 30-35 minutes, or until topping is browned and mixture is bubbly. I just ordered our Christmas tree, so as much as I'm in complete shock that the year is coming to an end, I'm ready to embrace the holidays. I normally put off all things holidays because it's a tough time personally for me, but this year I'm trying a different approach. 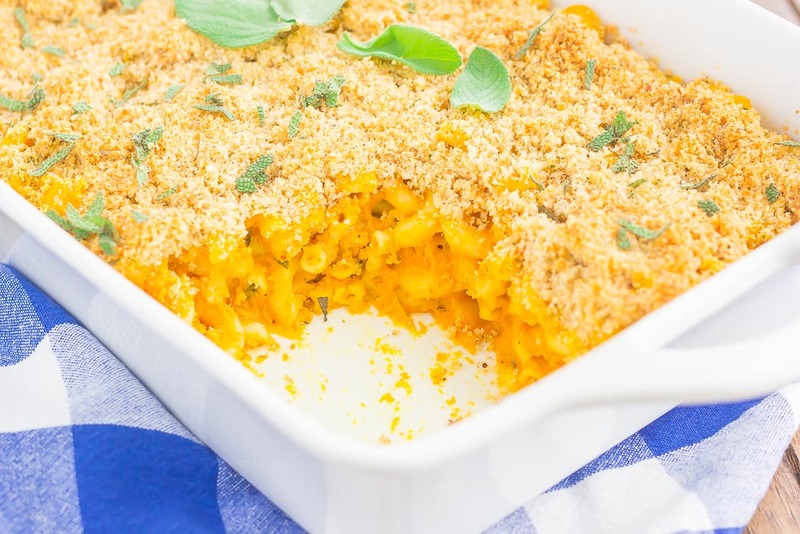 And I'm thinking this creamy, cheesy pumpkin mac MUST be a part of my new me- new holiday thing! I mean, this looks AMAZING! And you know I found a love for all things pumpkin, so this totally needs to get in mah belly pronto! Pinned! Cheers! Thanks, Cheyanne! Hopefully your new Christmas tree puts you into the spirit, along with this mac 'n cheese! I made a pumpkin mac n cheese last year with some leftover pumpkin I had hanging around and it was so good! You wouldn't think of pairing but it definitely works so well! I could eat this year round, not just this time of year ;) So good! Pinned! Cheers to a lovely weekend! Pumpkin mac n cheese is the best! This one is a tad different than most. Thanks Dawn! It's a match made in heaven for me, too! So creamy and comforting! 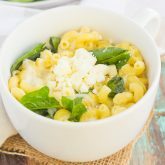 Love this mac and cheese! Looks so delicious! Love the pumpkin in these! I'm so excited for the holidays, ready to start decorating for Christmas! Yay for the holidays! Thanks, Mira! Hooray for pumpkin season! I'll take it in just about any dish -- including savory comfort food! This sounds so delicious, Gayle! Have a great weekend! Love this! I've never had pumpkin mac'n'cheese (what a shame, I know!) but I know what I am making next week end! Thank you for sharing! I'm so glad, Amy! Hope you love this! Thanks for the stopping by! It says 2 tablespoons of sage. When in the recipe does it say to add it? Hi Jason! So sorry about that! You should add in the sage when you mix in the cheeses. I've updated the recipe directions, too. Thanks for stopping by and hope you enjoy!